At Little Pim, we believe all children deserve to learn a second language. 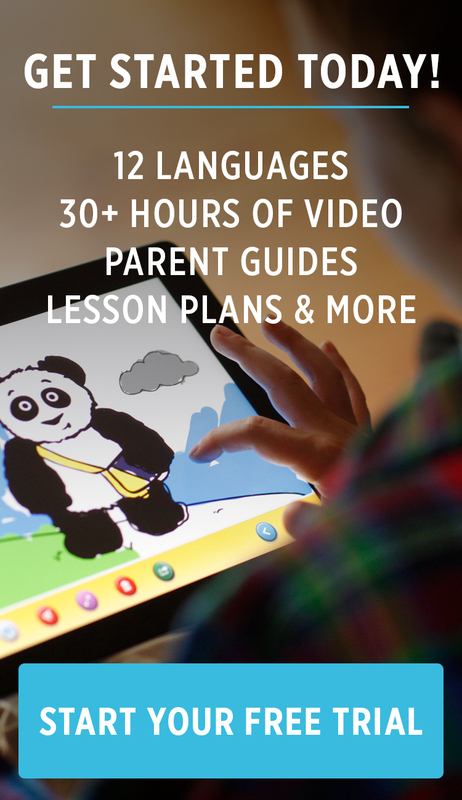 Our language learning series makes learning a foreign language easy and accessible to all kids–at the age they learn best, from 0 to 6 years. Now, your little ones can learn a new language with Little Pim on-the-go with our new iOS app! If you are a recent customer of Little Pim (as of Nov 2016), you can download the app to watch Little Pim on your iPhone or iPad. Simply follow the steps below to setup your iOS device to play our videos for your little ones at home or on-the-go. If you purchased Little Pim prior to this update, please contact us and we’d be happy to create a new account for you upon proof of purchase. Download the free Little Pim app so you can watch all of your Little Pim content purchases. Open Little Pim app on your device. Enter the email address you used and password you created to purchase Little Pim’s video content. If you need help with your account, please email us at help@littlepim.com. Your "unlocked" or previously purchased videos will load on the screen and you're ready to watch! Once you’re logged in and your library has loaded, tap the thumbnail image of the video you want to watch. You can also choose to turn on the subtitles in the app by tapping the subtitles icon. You can also print out our companion guides and scripts on our website to follow along. If you have any trouble accessing your videos or login information, please contact us via live chat during office hours, via email: help@littlepim.com, or send us a message on Facebook. Thank you and best of luck on your language learning journey! New to Little Pim? Welcome, Bienvenue, Bienvenido, Willkommen...! Get started on your child's language learning journey by downloading our new app. Please read below about more information on our iOS app and the volumes you can purchase using your Apple ID. You can also purchase your 3-pak digital set on our website to login via the steps above. (daughter of Dr. Paul Pimsleur, who created the Pimsleur Method), wanted to give her young son the same opportunity to learn a foreign language.When she discovered that there were no high quality education materials for teaching toddlers a foreign language, she set out to create them herself. She was uniquely qualified given her background as an award-winning filmmaker, language teacher and mother.Pimsleur sought to create a program that would delight and teach young children a foreign language at the same time. Working with leading neuroscientist Dr. April Benasich, educators and native language experts, she spent several years developing the Little Pim language program. Not only is it the first comprehensive at home program, it can be used effectively by parents even if they don’t speak a foreign language. Little Pim’s program supports foreign language learning which multiple studies have shown improves memory and analytic abilities and strengthens problem solving skills. The program helps children acquire a new vocabulary and a near-native accent. Our unique Entertainment Immersion Method® immerses children completely in a foreign language. Your "unlocked videos" will appear when logged into your Little Pim account so you and your little ones can watch Little Pim ad-free at home or on-the-go across devices (iPad, iPhone, iPod touch). This app is only available for iOS devices, but customers can also watch online via any browser on our website or by requesting access on our Vimeo/VHX website (the email address you enter must be associated with your account). We are currently working on an Android version to release later this year. Stay tuned!